Socially engaged artist Siobhán Clancy has been producing collaborative work in and outside of healthcare settings for nearly a decade. For Siobhán, the priorities of health equality are compatible with the strategic objectives and aspirations of arts and health work. Yet she has discovered that when engaging with marginalized experiences and excluded constituents, artists sometimes find themselves outside the current framework of arts and health practice. Whether or not we aim to ‘change the system’ through our work, artists who work in the field of health must acknowledge that we work in a deeply politicized context. As Bambra’s statement suggests, this context is not restricted to healthcare settings or their infrastructure. It is imperative to understand this so that those other spheres of influence (i.e. economic, social and political) can be held accountable for a lack of services or discrepancies between policy and practice. There is no advantage in blaming or celebrating a single system for things that are actually subject to an inter-dependent ecology of systems. It is through political awareness that we avoid falling into the trap of focusing only on the quality and quantity of service provision instead of looking at the bigger picture of who has access, why others do not and, to return to Bambra’s main point, who is given the power to decide. This is relevant because it directly informs whom we work with, how we reach them and, ultimately, where we position arts and health practice in a territory that is, I argue, shaped by political determinants and an ongoing history of struggle. There is an interesting resonance between approaches to arts and health and health activism. It is found where both are characterised by a feminist critique of ableist attitudes that perpetuate a hierarchy of health thus essentialising the ‘normal’ body as ideal and subordinating other bodies. This ‘othering’ is highly stigmatizing for any body that represents an alternative to the norm and results in increased health risks for vulnerable groups. Since the 1980s, AIDS activists have been using artistic and activist tactics to raise awareness about the very real and debilitating effects of social stigma on health such as deprivation of access to information, provocation of trauma and exacerbation of care avoidance. See, for example, www.visualaids.org. Bodily autonomy is also increasingly becoming recognized as a core value of healthcare. It is a very politically charged concept, not least because of the prevalence of the term in feminist discourse on issues related to sexuality, gender, disability, consent and reproductive justice. A growing appreciation for shared decision-making and the value of choice in matters of health has led to the establishment of patient-led care initiatives across Sweden and the UK that are lately emerging in Ireland. Although not without its critics, particularly in relation to its ideological base in consumer-service rhetoric , this model arguably brings us closer (albeit far from all the way) to a holistic concept of health. Patient-led care promises increased patient autonomy by providing an alternative to ‘the doctor and patient [relationship] which has historically been submerged beneath a culture of lay deference to professional paternalism and an institutional architecture which favours professional control over decision making’ . In line with current thinking on autonomy and following decades of disability activism by groups such as the Independent Living Movement who coined the term ‘Nothing About Us Without Us’ , the Assisted Decision-Making (Capacity) Bill was enacted in Ireland in 2015. Its purpose is to respect the legal right of people who ‘lack mental capacity’ to dictate the particulars of their preferred healthcare treatment through the provision of a prior-written instruction. However, due to a 1983 constitutional amendment that equates the life of a pregnant person with a foetus, the Assisted Decision-Making Act is disregarded if a person is pregnant . This is one example of the many ways that people may find their access to healthcare limited. Just as health workers cannot work in isolation from the law, economy or society, so the politics of interplay present complex considerations for practitioners of arts and health also. ‘The Touching Contract’ is an example of the kind of compelling work these considerations can inspire. Produced by Sarah Browne and Jesse Jones in 2016, this immersive performance work dealt with the quality of touch of the law on the bodies of women and, in doing so, interrogated the historical, medical, legal, cultural, social and bureaucratic nexus that is a former labour room in The Rotunda Maternity Hospital. There are many in need of healthcare but excluded from its provision. Should we choose not to work with any of these constituents, we will deny that their experience is as relevant to the context in which that care is situated (i.e. health) as those who are provided for. I contend that exclusion does not necessarily indicate a lack of need but rather the lack of access to fulfill that need. I choose to engage with excluded or marginalized groups including abortion seekers, a constituency that I’ve been working with since 2012. My claim that arts and health is an appropriate context in which to situate this work has been queried in the past. It challenges a future framework for arts and health to acknowledge the relevance of our work with those currently denied the healthcare they require and to express support for further exploration of the contested territories in our field. I feel that if we as artists omit the priority of health equality from our definition of arts and health, we are not fully engaging with the potential breadth and depth of our practice. Our role need not be contained by current limitations when it can usefully locate itself in zones of developing praxis as well as the aspirational. A forward-thinking vision must be grounded by a consciousness of the history of this unique context, political warts and all. 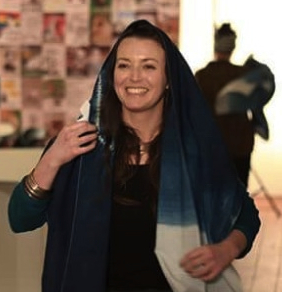 Siobhán Clancy is a visual artist who collaborates with groups on multimedia and live socially engaged works in contexts of health, disability, education and social justice particularly concerning young people and women. Agency and voice are recurring themes in a practice that straddles the fields of art, activism and engaged research. In 2014, she completed an MA in Community Education, Equality and Social Activism at Maynooth University. Earlier studies included certs in Theatre of the Oppressed (2012), Participatory Arts (2010) and a BA in Fine Art at NCAD in 2005. Her work has been funded by awards such as the 2015 Arts Council Artist in the Community Scheme Research and Development Award managed by Create (The National Development Agency for Collaborative Arts) through which home|work developed to collectively confront censorship and self-censorship through art, action, performance, conversation and camraderie. Siobhán is currently artist-in-residence on Helium Arts’ Fireflies Project at Temple Street Children’s University Hospital with Rachel Tynan. She is an active founding member of the Abortion Rights Campaign and the 2017-2018 European Representative for the INROADS Steering Group (International Network for the Reduction Of Abortion Discrimination and Stigma). Charlton, J. Nothing About Us Without Us: Disability Oppression and Empowerment. University of California Press, 2000. I feel that if we as artists omit the priority of health equality from our definition of arts and health, we are not fully engaging with the potential breadth and depth of our practice.